It's 2014! What are your goals and aspirations for the upcoming 12 months? You have a brand new slate of 365 days to be the best you. 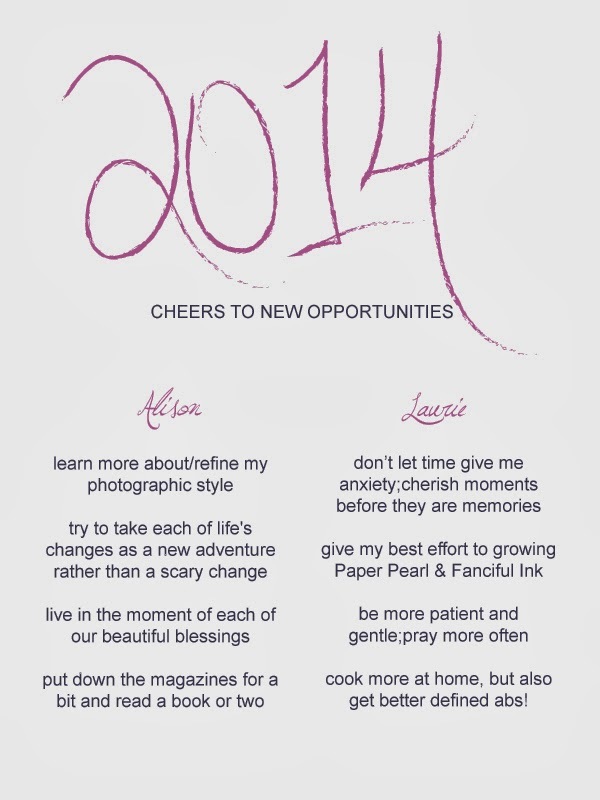 Alison and I wanted to share with you our resolutions for the year in the attempt to keep one another accountable.